The Scientific Misphilosophy of corruption in Zambia has reached a level where the minions vested with the responsibility of protecting government resources no longer have a heart to care. One institution where corruption has infiltrated the managements ranks is Zambia Revenue Authority (ZRA). We write because ACC has received a lot of dossiers from us but nothing seems to work; whether they are accomplices in the same acts, only God knows. It’s annoying to see state plunder being undertaken in your full view. ZRA was once a respected institution especially at the time we had Commissioner Generals like Nhekairo and the times of Criticles Mwansa-may his soul rest in peace. The rest of the times have been on and off but the current administration is a serious blunder. ZRA is mandated with the responsibility of collecting revenue on behalf of the Zambian people and by so doing raise funds with which to run the affairs of the economy for the betterment of everybody. Unfortunately, the current ZRA seems to have shifted from that principle to improving their individual economies. In this regard, just as much we don’t have the powers to change the pendulum of decision making, it’s imperative that certain hidden criminal activities be brought into the open so that no one can accuse me and my family of having participated in the sabotage of the meager resources the currently needs. (a) There has never been a situation where more than 150 employees were employed without advertising the vacancies. If you had heard of impending vacancies numbering closer to 200 and you have been waiting for the advert to come, please forget as everything has been filled up. The extremely incompetent Kingsley Chanda is working with the most STUPID MOFFAT NYIRENDA-the idiot that came from Standard Chartered bank last. 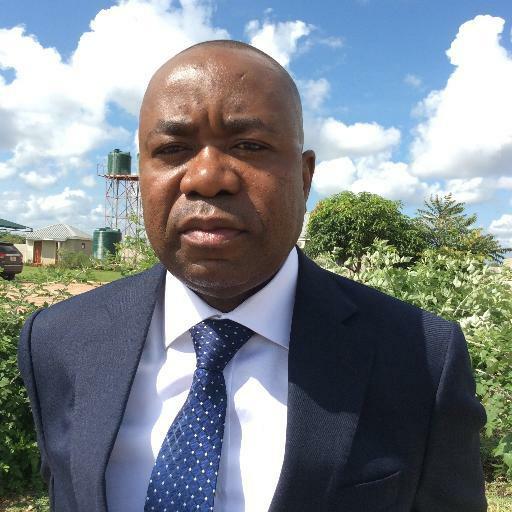 This idiot called MOFFAT NYIRENDA is the current Director Human Resource brought in by the foolish current Commissioner General after chasing away the experienced and knowledgeable David Ndumba. These 2 idiots just advised their relatives to bring the CVs without issuing out adverts in the press like it has been the case and culture of ZRA since time immemorial. If this isn’t corruption then I don’t know how you classify it. (b) Involvement in MUKULA TREE. Despite playing an innocent man by confiscating the 22 trucks of Mukula tree which everyone was shown on the local TVs, the criminal is also seriously exporting the product. Just to put you in the right perspective, at the time the 22 trucks were impounded at Chirundu Border Post, his consignment of 2No. trucks had already reached Beit Bridge-a border between Zimbabwe and South Africa. Since there were no proper papers accompanying the trucks, South Africa were adamant to allow the consignment in but advised that relevant paper work needed to be produced without which the trucks wouldn’t cross. It was at that stage that ZAFFICO was put under extreme pressure to facilitate the documentation. The owners of the consignment were already waiting to receive it and as such, pressure finally achieved the required status. Each container is valued at $27,000.00 and hope you understand why Mukula tree is a big deal. If this is not corruption, tell me what it is. (c) THE ANIMAL FARM AT ZRA- Earlier before the appointment of Kingsley Chanda in 2016, former Deputy Commissioner-operations Miss Nkanga Shimwandwe had charged Clement Kasepa Mulenga commonly known as CK and Kwegor Msimuko. The 2 were working at border points as Assistant Commissioners and used to collaborate very well with Kingsley Chanda when he was just running his clearing agent company. Having being found with serious corruption related matters regarding their conduct at border points, Miss Nkanga Shimwandwe charged them and were to appear before a disciplinary hearing Committee like everyone else does as per procedure. The idiot Kingsley Chanda just unilaterally discontinued the matter and transferred the then Deputy Commisioner Nkanga to Ministry of Commerce and elevated the 2 criminals to Directors-which was at the same level with Nkanga Shimwandwe. Clement Kasepa Mulenga is Director Investigations whereas Kwegor is Deputy Commissioner –Operations. If this is not corruption then I don’t know what it is. (d) INTERFERENCE IN PROCUREMENT MATTERS-The idiot uses what he calls preference for Local Companies. This word sounds like he wants tenders to be awarded to each and every local company. That’s not true because he uses his relative-Anthony Mwila the Asistant Director Purchasing and Supplies. By operation, this boy is supposed to report to Director Administration-Mr Callistus Kaoma also in the high ranks of PF. However, due to his closeness to the Commissioner General, Mwila doesn’t count Kaoma and has even told his close associates that Kaoma is just on paper as he wilds no power at all. All issues are settled between Chanda and Anthony even before they are tabled before the Procurement Committee. You would wish to know that Anthony Mwila was brought in by Kingsley just after he was appointed by Edgar Lungu. Anthony had also resigned in 2007 just after Kingsley Chanda was fired by the then Commissioner General Berlin Msiska for Gross incompetence. It is rumored that from the EFDs tender, Kingsley Chanda received close to $120,000 as gratification. Anthony got close to $45,000.00 in his pocket. If this is not corruption, then I don’t know what it is. (e) PROCUREMENT OF FURNITURE-We know that most CEOs are entitled to household furniture but there is a ceiling. What is the ceiling for Commissioner General? The past Commissioner Generals have had their budget around K400,000.00. For the current Commissioner General, is well above K1,000,000.00. What is the difference between Kingsley and Ndambo Ndambo the former Executive Director for Zambia National Union of Farmers (ZNFU)? Unfortunately, consultation from HR who understands his condition of service revealed that he doesn’t go that far but that he objected to the guidance. Secondly, how do you furnish his home when he is staying in his own house where ZRA is paying him a monthly house allowance of K100,000.00? I repeat for the sake of clarity; How does ZRA furnish his house when the Authority is paying him a monthly house allowance of K100,000.00? PLEASE NOTE THAT THIS K100,000.00 HOUSE ALLOWANCE MONTLY IS TAX FREE. If this is not corruption, then tell me what it is. As earlier stated, these are serious available and documented matters at ZRA and anyone with authority can demand for it and the facts will be established. On the other side, the Chap has really lamentably failed to run the Authority because he has no clue whatsoever. ZRA has not been doing well as regards the usual announced target. It’s a lie. The truth is that ZRA is performing extremely poor when compared to the Berlin Msiska era who seemed to know what he was doing despite being arrogant too. On all the other taxes, ZRA is in the negatives. The only part helping ZRA claim that it met targets in 2017 was the component of VAT currently being collected from the source. For the sake of those who do not know, an elaboration can assist. When National Road Fund Agency pays AVIC INTERNATIONAL for the construction of a road say K200,000,000.00 is paid, NFRA is required by law to deduct K32,000,000.00 VAT component and transfer K168,000,000.00 to AVIC account. What ZRA does therefore is to wait for the time to call for such amounts from all spending agencies. The fact is that ZRA does literally nothing in collecting that money from AVIC since the job has been done NFRA and by government for releasing the money from the treasury. The question is WHAT IF THE BIGGER PROJECTS ARE FULLY COMPLETED AND THERE ARE NO PAYMENTS TO BE MADE? Where shall ZRA get the difference? Tax collection requires proper strategies and thinkers. Have you recently been at any of the borders to experience the pathetic service currently obtaining? It’s not only the borders but the entire ZRA. Workers are extremely de-motivated as people merely report to come and play cards on their computers due to frustration. Did you know that there are over 80 workers who have applied for early retirement? Do you know why? It only happens when people have no confidence in the management. Have you ever heard of a Director resigning at ZRA? They are usually fired but Director Projects recently resigned. What does it tell you? Confidence issues. The recently conducted survey about employee satisfaction in the Authority indicated 49.56? can you get the results like that? A fish rots from the head and that’s the fact about ZRA. Corruption plus incompetence= Below Target. You would wish to know that ZRA didn’t meet the target by K35,000,000.00 and that’s why there wasn’t any press conference called last month. MAY THE ALMIGHTY SAVE US FROM THIS MEDIOCRITY. We have a monkey in the field of maize.